The most popular selling Bible paraphrase on the market today. Great for devotional reading. The most popular selling paraphrase on the market today — millions sold! A uniquely fresh Bible-reading experience. 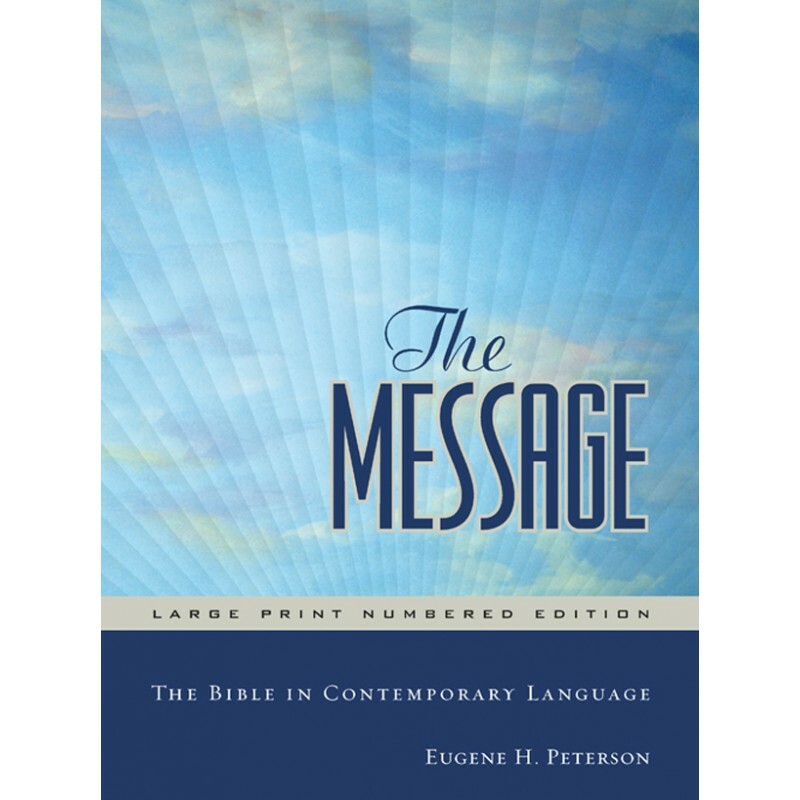 Meant to be a reading Bible rather than a study Bible, The Message brings to life familiar passages by converting the original languages into the tone and the rhythms of modern-day American speech while retaining the idioms and meaning of the original languages. Notes: This paraphrase was translated using contemporary idioms as well as the rhythms and tone of contemporary English to communicate the original author's intent to the modern reader. New Testament published in 1993, Old Testament in 2002.